Well, if you are like madam kofo who sells vegetables and tomatoes right at the gate leading to my street, you probably don’t need a 5-star reputation to win new customers. Who cares, right? It’s not the same for you and you know it. You are a caterer and your desire is that your customers should recommend you to their friends. Perhaps, you are a stand-up comedian, Dj or Mc and you are dying for the world to know that “you make the party rock”. It doesn’t matter what industry you are in or how you conduct your business, you want your customers to spread mostly positive news about your personality or your business. A bad reputation is bad news. FIFA can as well confirm this. The truth is that customers are constantly on the lookout for businesses that can be trusted and what better avenue to decide on such businesses than consulting customer review sites to see what real people have to say about listed businesses. When a potential customer comes across unhappy reviews about the kind of service previous customers received while transacting with your business, you can as well say “Adios”. Unfortunately, you (the business owner) may not get to physically access the EXTENT OF DAMAGE caused by negative reviews because you don’t have a ‘face to face’ rejection experience. Your competitors, on the other hand, are probably squeezing the juice out of your potential customers because they understand how positive reviews and referrals work. A 5 Star Reputation means everything online. What is a 5-star REPUTATION? It simply means that this guy is great; this organization knows how to treat their customers right; this business can be trusted; this company keeps to their promises; I will love to do business with you again; and lots more. Believe me, you don’t want a 1-star reputation. Building a 5 STAR REPUTATION online is VITAL for the success of your company or any business in particular. Building a 5-star reputation should be your number one goal. So WHY is this? Positive reviews are the single biggest indicator of customer satisfaction: Customers are your walking advertisement. They offer this service without royalty. Just make them happy. With a digital device at their disposal, they will share with the world how uniquely you conduct your business. However, unhappy customers don’t write positive reviews. 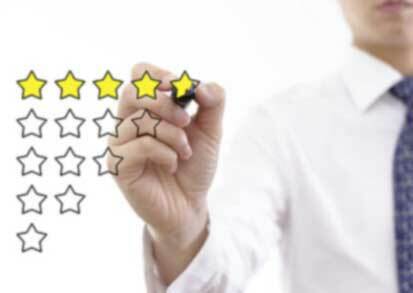 By keeping your customers happy, they will gladly reward you with a 5-star rating. Consequently, potential customers who are seeking reliable products and services for purchase will check out your business first. A business with mostly positive online reviews is a safe haven for new and potential customers. The key is to understand how your stakeholders are likely to reach out to you and then make sure that experience goes smoothly and, whenever possible, goes beyond the experience they expected. Competition is fierce: Rule of thumb; you are not the only one out there. The term monopoly is almost extinct. There are many businesses that offer similar products and services like yours. This implies that you need to fasten your waist belt to get noticed before your competitors. In most cases, earning yourself the generous praise of your customers often only takes being better than your competitors. Beating your competitors in the price war doesn’t necessarily guarantee good turn ups. Equally important is your quality of service and level of professionalism. These are the thread on which your reputation hangs. As long as customers continue to trust you above your competitors, your reputation for excellence will speak for you. It’s a win-win for everyone: It is as simple as it comes. With a 5-star reputation, you get more recommendations. It is your job to live up to your reputation every time you have to attend to a new customer. Practicing this will build your positive reputation even further. Your customers are happy and you are also happy. At the end, you discover that you have built a network of happy customers around your business. This can only mean one thing- Check your bank account.